Terra Nova Nurseries and Danziger jointly announced this week the two companies are entering into a new alliance, whereby Danziger will become a dedicated licensee and producer of vegetative cuttings from Terra Nova Nurseries’ stock in Europe, Asia and Africa. Danziger will produce the Unrooted Cuttings (URCs) to fulfill orders in Europe, Asia and Africa. “We believe that this collaboration and the addition of world class perennials genetics by Terra Nova will enable us to provide our customers with a complete assortment and will benefit all parts of the horticulture value chain”, says Amir Dor, Director of Sales – Annuals & Perennials at Danziger. Danziger and Terra Nova Nurseries are both breeders holding annuals and perennials assortments. “We find this strategic collaboration as a growth opportunity for everyone involved,” says Ken Brown, Managing Owner of Terra Nova Nurseries. “We all see the importance of providing the best availability of high-quality vegetative cuttings in all markets. We believe Danziger is one of the best producers, coupled with excellent market reach and customer service, we consider this partnership as an important key in developing our international sales,” adds Ken. “We have set creative collaborations as one of our core values, this partnership is a good example and another step in fulfilling our mission of creating extraordinary success for our customers”, says Ori Danziger, Deputy CEO at Danziger. “We witness an increasing demand for high quality perennials in many markets. Collaborating with a strong partner such as Terra Nova, creates synergy and a unique value proposition for the market”. This new partnership is launched at IPM Essen 2019 and customers can expect availability of cuttings as of week 40/2019 – availabilities will be visible through Danziger’s ordering system. LONDON, UK: Looking for fresh inspiration to kick off 2019? 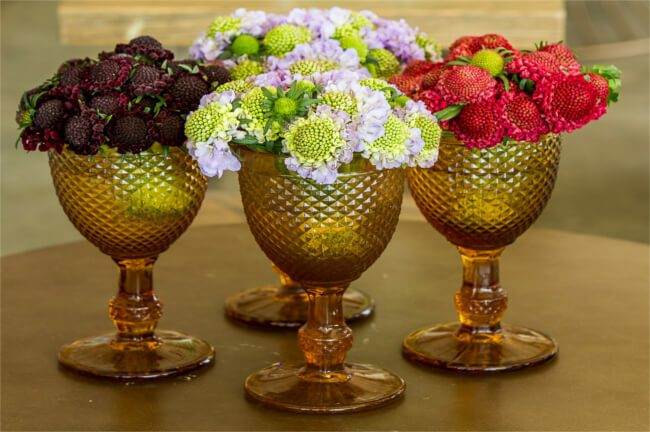 Then join us on 17 January at Bloomfield Wholesale Florist for a morning of innovative new products and current classics showcased by one of the world’s most innovative floriculture companies, Danziger.